Are you a curly haired girl? How many times have you tried grabbing that straightener and taming your locks to achieve some hairstyle you saw on tv! Well, we’ve got some really cool hairstyles that don’t need a straightener and yet look gorgeous. From a wedding to a party, flaunt them anywhere! 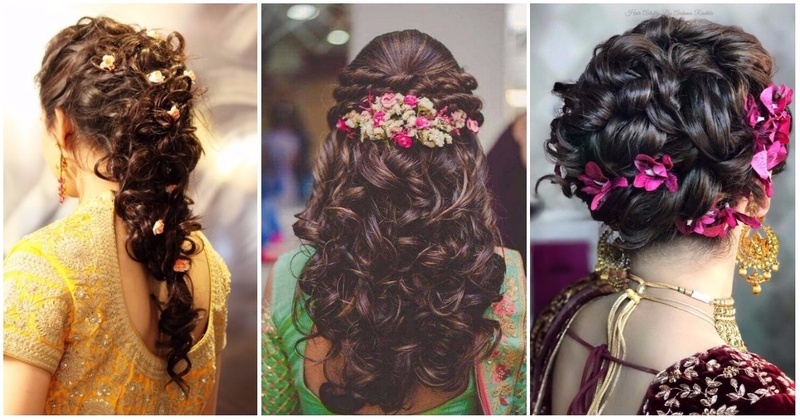 Have a look at these Indian bridal hairstyles for long hair. We have got a few brilliant ideas suiting Indian hairstyle, so head and get all dressy! Skip the first part because you have natural curls! Love how elegant this looks. Kinda like a chignon but with curls! Check out more of these stunning - Indian hairstyles for curly hair. Accessorise with small flowers, hairbands or pins!